This year marks the second edition of Game XP, which is calling itself the 'first Game Park in the World.' Neither a convention nor a theme park, Game XP is a place where people can play games before they're released, watch the biggest pro players in Brazil, and experience their favorite games brought to life. RIO DE JANEIRO, BRAZIL – This Thursday, September 6th, Game XP will be transforming Barra’s Olympic Park into a huge gaming arena, in what promises to be the biggest gamer event in Brazil. The Game XP festival will continue through the weekend, ending on the evening of Sunday, September 9th. 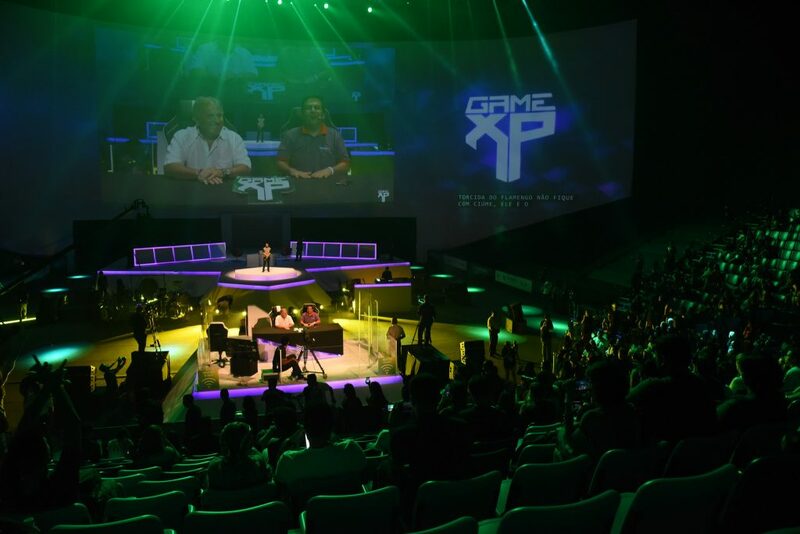 Last year, Game XP arrived as part of Rock in Rio, but following its huge success, it has now returned as a stand-alone event, photo courtesy of Alexandre Macieira/Riotur. This promises to be a huge event, which returns to Rio after making its debut during the 2017 edition of Rock in Rio. The organizers are promising something even bigger than last year, with the festival occupying three Olympic arenas and a large outdoor area. Calling itself ‘the world’s first Game Park’ Game XP will feature four large areas of entertainment and experiences: the Oi Game Arena, GamePlay Arena, Inova Arena and Experience Bay, covering over 100,000 square meters. There will be a huge variety of attractions, sure to satisfy the most avid gamers of all ages and styles. The organizers are also promising plenty of other attractions to keep any non-gamers entertained too. There will of course be dedicated E-Sports arenas, demonstrations of unpublished games, freeplay events, talks and workshops on technology and innovation, as well as plenty of opportunities for cosplayers to show off their creations. For the non-gamers there also promises to be a real amusement park that takes the games from the screens and allows the public to live and enjoy these games in real life. The live-action amusements will include go-karting, football (soccer), dancing, laser tag and even a spiderman challenge. Anyone who enjoyed the ‘Geek & Game Festival’ in June will be sure to love this event.